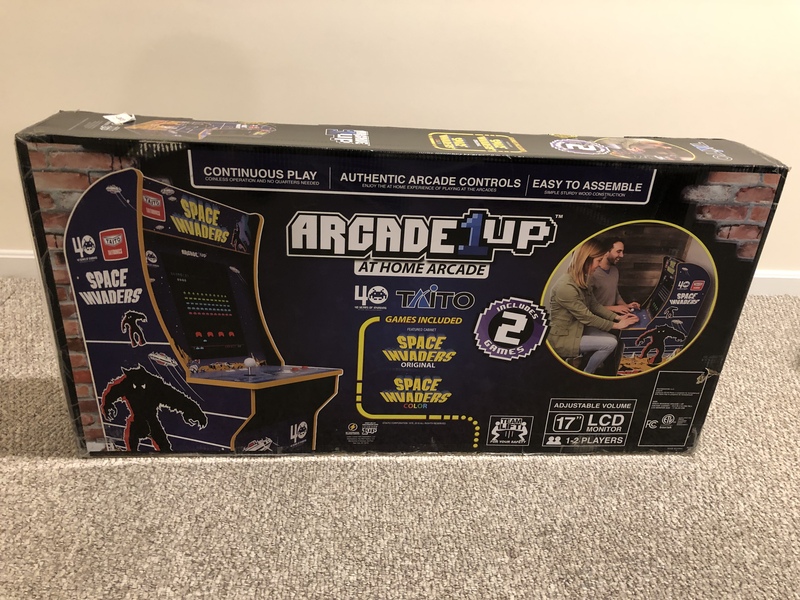 For those of you not familiar with Arcade1Up, they are the first company to produce large scale replicas of classic arcade cabinets for the mass market. This cabinets launched in September at most major retailers and have since found their way into the holiday shopping frenzy. 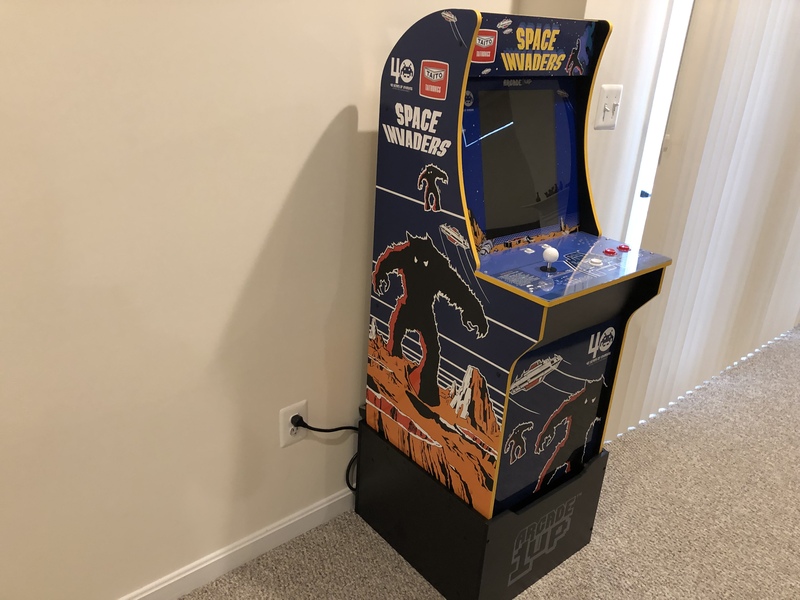 Now in 2019, Tastemakers are expanding the line to include new cabinets as well as other products to enhance your game room. Check out our Toy Fair reporting for some more details on that. Initially retailing for $299 on Walmart and making its debut earlier this month, this amazing little unit allows you to relive the glory days of the reign of one of the highest grossing game series in history! 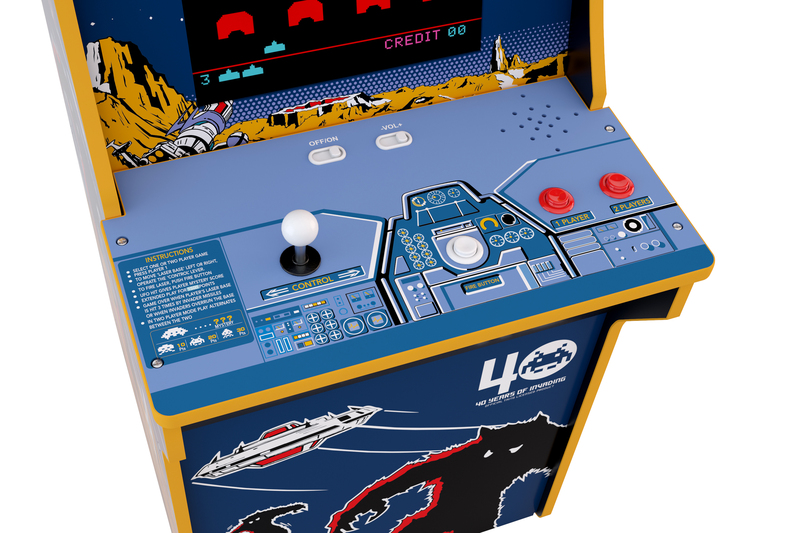 Featuring original artwork and authentic controls it gives you that sensation of being back in the arcade and trying to 1Up your buddy's high score. 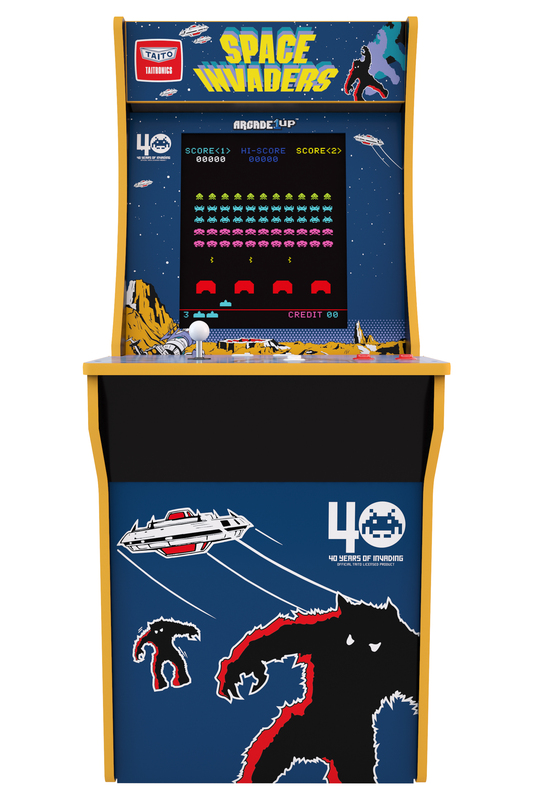 Just like the other cabinets, it features continuous play, so no quarters needed. 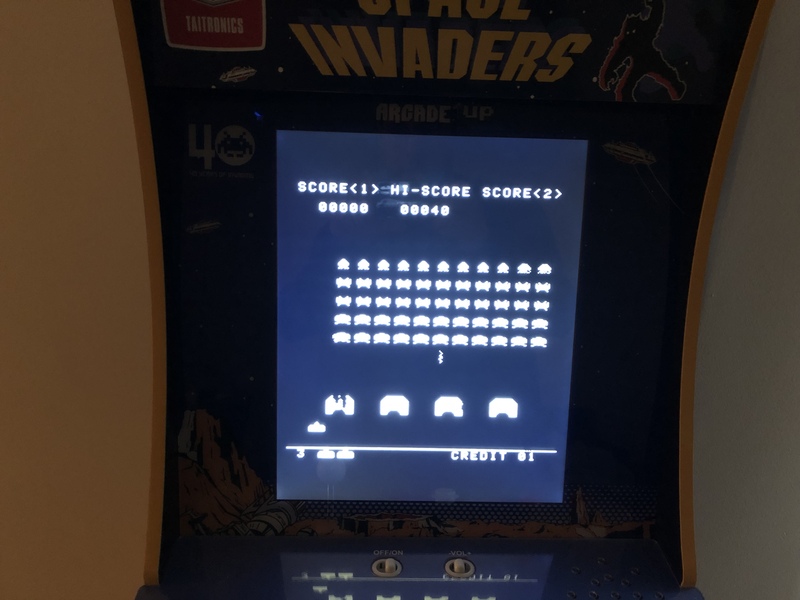 This cabinet features a joystick, and I know some of you will probably jump to point out that Space Invaders arcade just used buttons to move, well yes and no. The Taito version (which is this one) used a joystick while the Midway version (not this one) used buttons. So relax, they got it right. 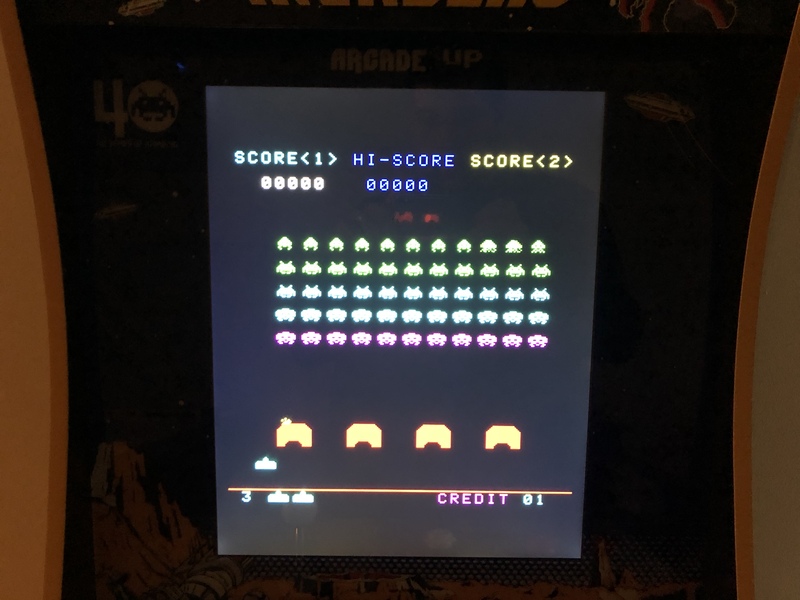 As far as games on the cab go, this unit features Space Invaders and Space Invaders Color. 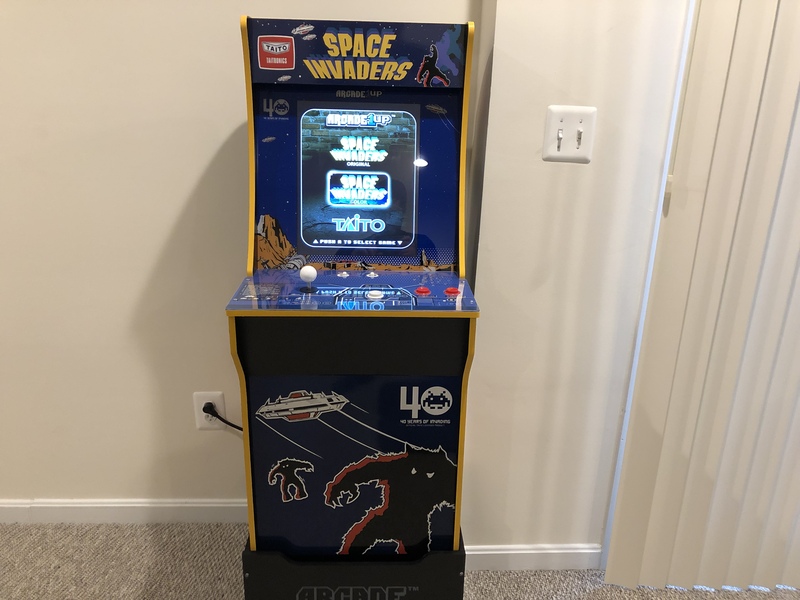 It would be great if other Space Invaders games were included but these are a piece of gaming history and still a must have for any gamer and arcade fan. The games also look pretty amazing on the brilliant LCD screen and prevents the unit from weighing a ton, so you can easily move it around. The sound is great, maybe too great. The lower volume setting was still audible two floors up on my house. Assembly per usual was quick and easy, about 20 minutes for an adult that has experience assembling an IKEA bookshelf. Probably and hour if you do not consider yourself handy. 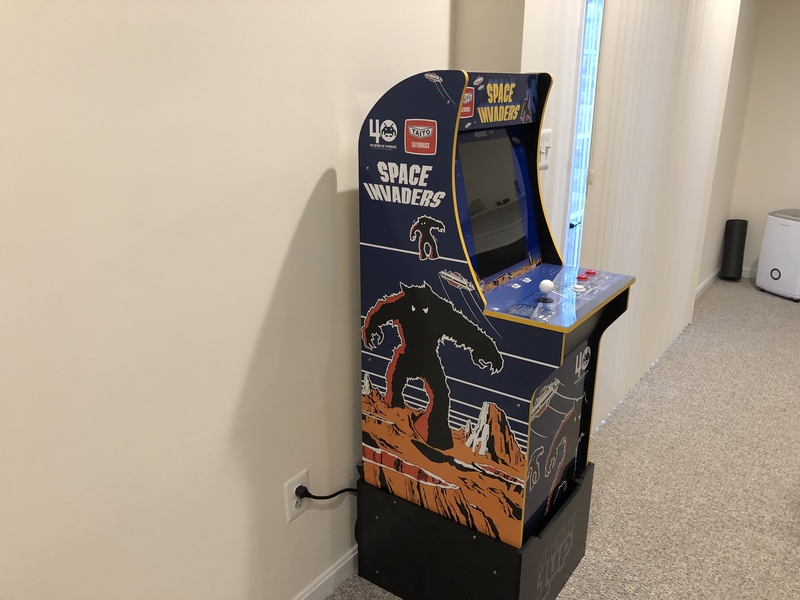 The artwork and yellow edging on the cabinet are amazing. This is as much a display piece as it is a fully functioning cabinet. So What's New With Wave 2? Glad you asked. As you can see there were some changes made to packaging, as detailed in our conversations with Tastemaker reps at Toy Fair 2019. First, the deck protector is included. No need to worry about the graphics fading. 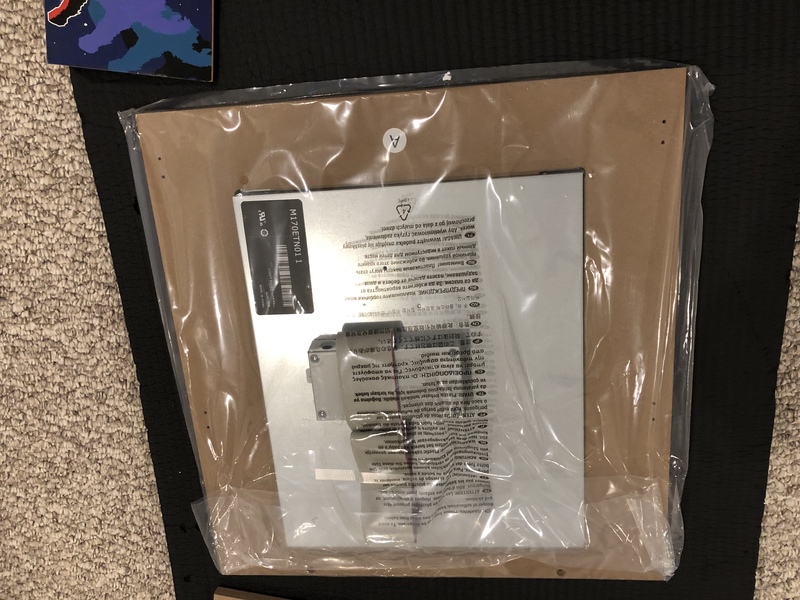 Second, the screen was individually sealed in a plastic bag to prevent the styrofoam from falling behind the screen during unboxing. A great touch. Other than that we noticed no major changes to the design or layout. 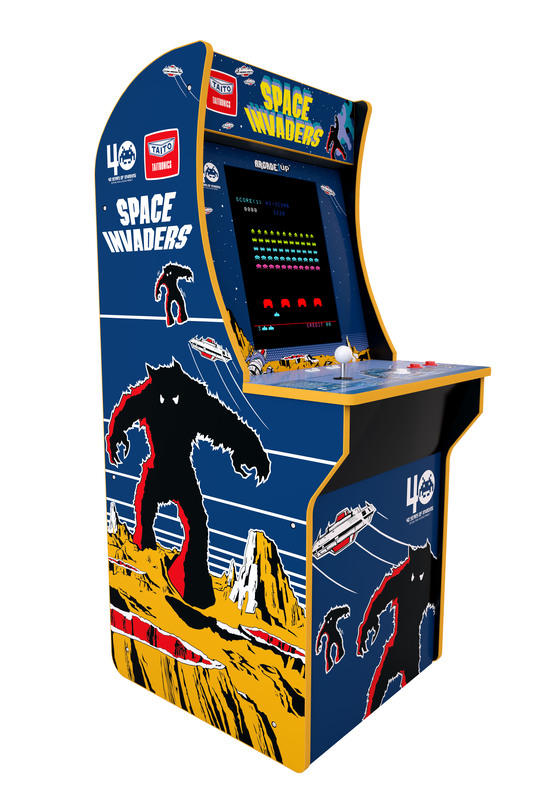 This is a must have for your at home arcade collection if you are looking to 1Up your game room. We highly recommend you purchase a riser to give the unit that extra foot of height for stand up play. 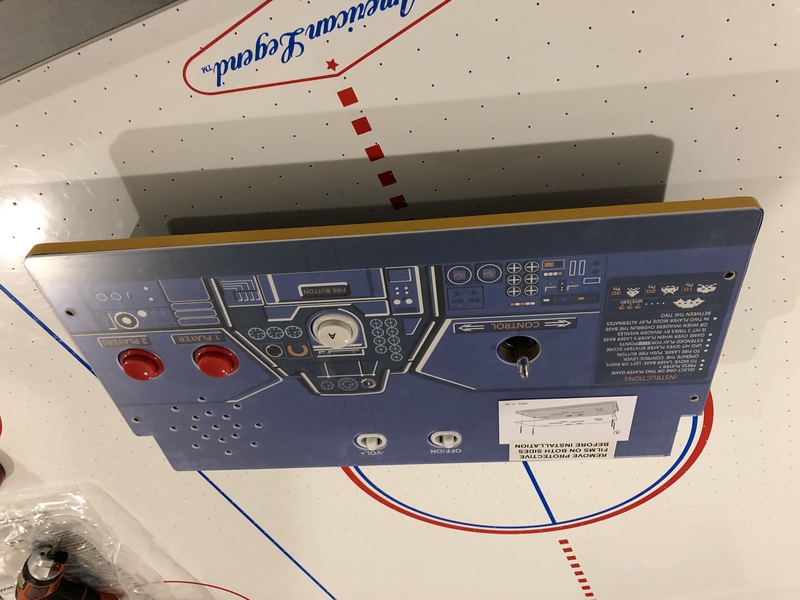 Custom risers are coming soon but no word on release date or what graphics will be available this year. Tastemakers have made good on their promise to increase availability as these can now be found with ease at Walmart or other retailers. We have managed to secure several through Walmart, which not only has the best price ($40 vice Gamestop's $50) but they get the most stock on a weekly basis. We also customized the unit a little to give it a smoother aesthetic over the industrial look of the exposed screws. You can pick up screw caps available in black or white from Home Depot for relatively cheap and spray paint the white ones to blend with the cabinet art. We used Rustoleum satin finish midnight blue and rustic orange and while not a perfect match, it came pretty close as you can see.